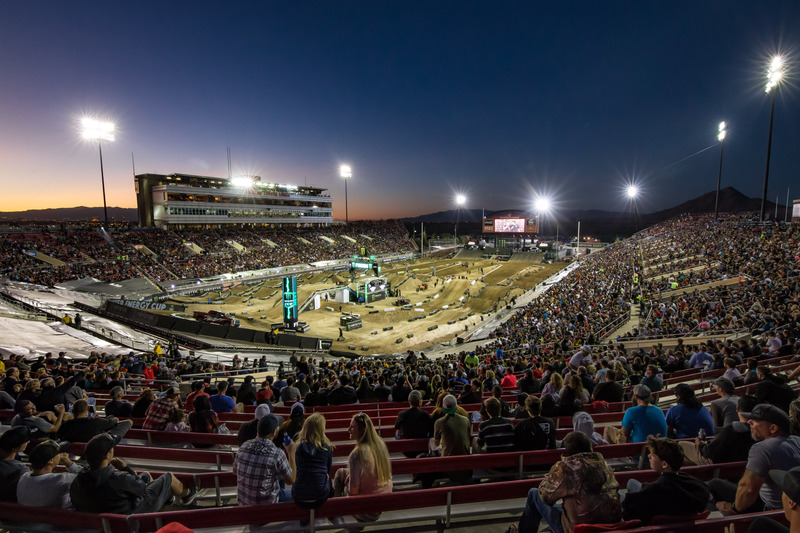 The Monster Energy Cup is no ordinary race, and once the sun goes down and the lights click on at Las Vegas’ Sam Boyd Stadium, the surprises and excitement are nonstop. The event has ﬁlled a void in the American racing off-season for seven years now and has yet to disappoint. 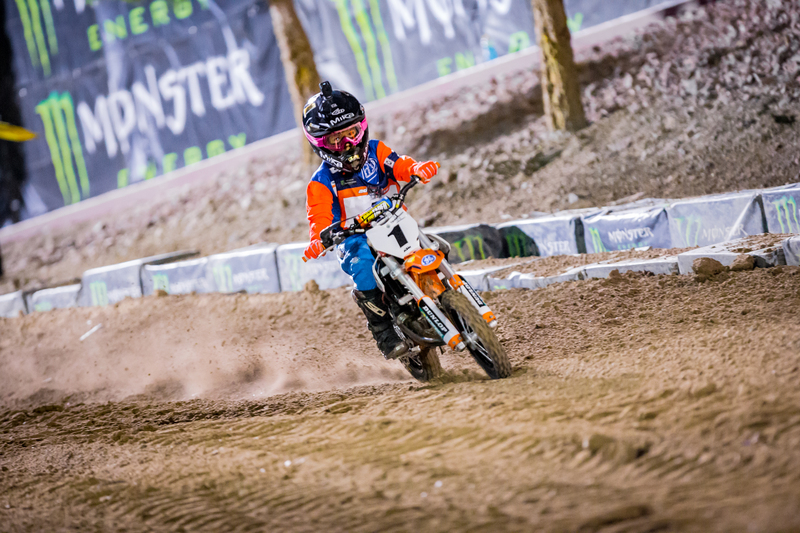 The headlining Cup Class features the world’s best racers on a single stage competing for $1 million, but you also get a chance to see the stars of the future when the Amateur All-Stars, Supermini, and KTM Junior Supercross Challenge riders take to the dirt. 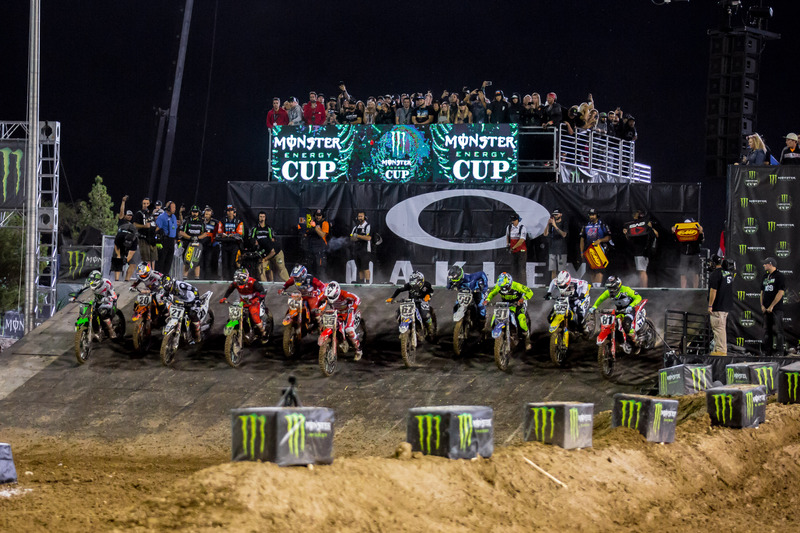 The Monster Energy Cup features three main events, and anyone who can win all three races will receive a massive paycheck: $1 million, by far the largest single-event paycheck in two-wheeled racing. Think that’s impossible? 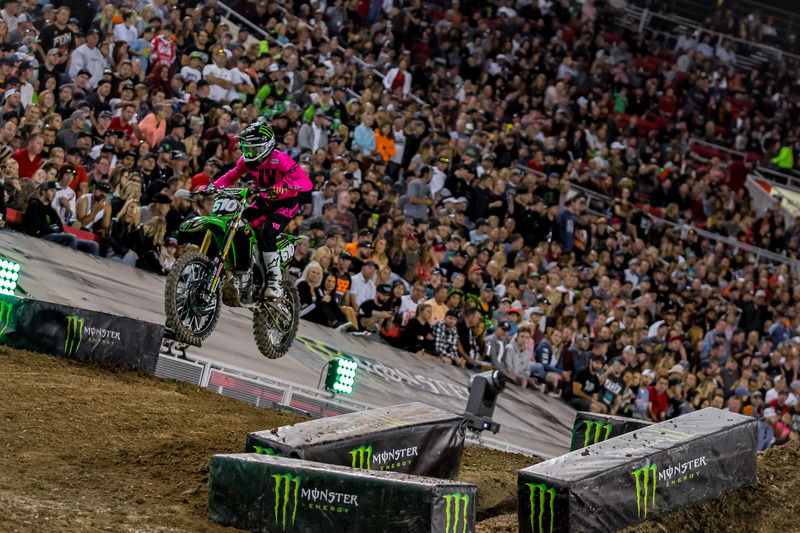 Just ask Ryan Villopoto or Marvin Musquin, both of whom have taken that check home. And even if there’s no sweep, the overall winner still nets $100,000. Not bad for a night’s work. The alumni of this class read like a who’s-who of current stars. Justin Hill, Aaron Plessinger, RJ Hampshire, Adam Cianciarulo, Shane McElrath, Austin For-kner, Mitchell Harrison, and Cooper Webb have all gone through the Monster Energy Cup’s amateur proving ground. With another exciting cast of up-and-comers scheduled to appear, the Amateur All-Stars race is a preview of what you’ll see in Monster Energy Supercross next year. 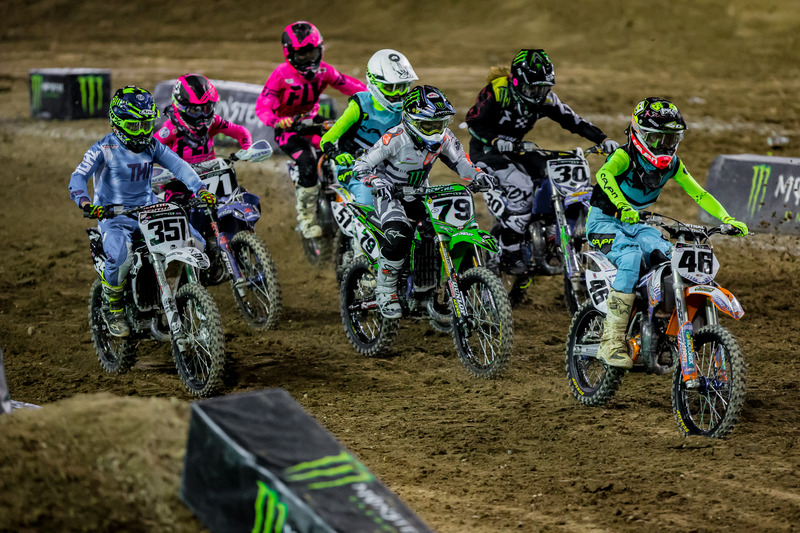 Comprising the fastest racers aged 12 to 16, the Supermini race is a glimpse of Monster Energy Supercross in just a few short seasons. As in the Amateur All-Stars, the list of past Supermini racers is packed with current top-level talent; both Cianciarulo and Forkner won Monster Energy Cup Supermini titles before going on to win professional races. You can always expect tight and entertaining racing when the gate drops for these youngsters. These are the youngest racers, aged 7 and 8, and they just might be the most competitive. Each will have won a KTM Junior Supercross Challenge event (held at ten select Monster Energy Supercross races) earlier in the year, and it’s now their time to shine and race for the very bike they’re competing on: a KTM 50 SX motorcycle. If all that racing sounds good, you’re in for even more at the MEC if you show up early. 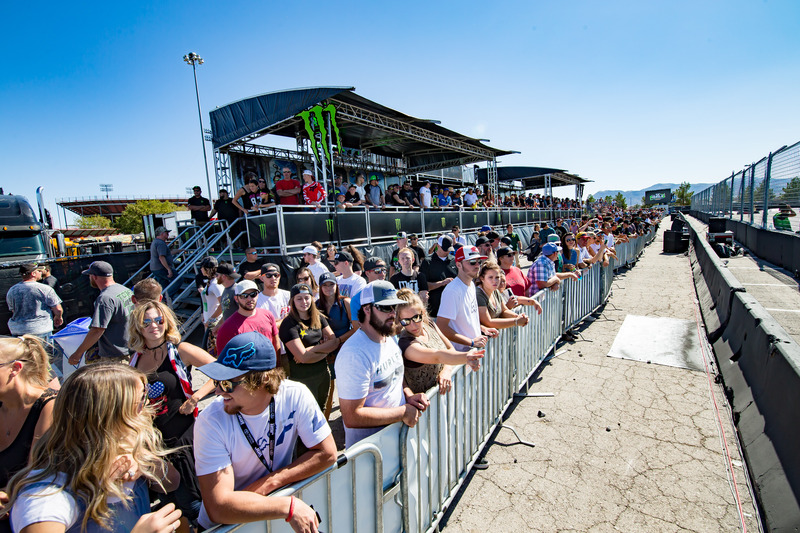 The Pit Party is where it all begins, and there’s no shortage of excitement. Truck racing, drifting, BMX demos, skateboarding, big whips, rider autographs, and a live DJ are just the tip of the iceberg here.